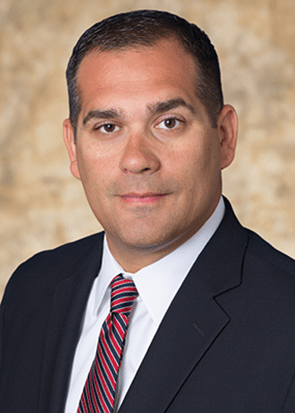 Michael is a Partner in the firm's Creditors' Rights and Bankruptcy Practice Group with a focus on representing secured and unsecured lenders in all aspects of bankruptcy cases. Michael has extensive experience in complex commercial litigation and representing bankruptcy trustees and debtors. He assists clients in the areas of commercial loan litigation, contract disputes, and mortgage foreclosures. In addition, his practice includes dealing with lender liability defense and matters related to defaulted loan workouts and collection. Michael also works with companies within the construction industry in construction defect, delay and disruption claims. Michael’s background includes serving as an attorney for the Chapter 13 Bankruptcy Trustee, Douglas W. Neway in Jacksonville, Florida where he was responsible for handling all facets of Chapter 13 cases, including representing the Trustee’s office in adversary proceedings.